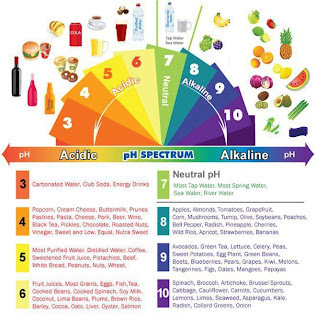 Our modern diet consists mainly of acidic food (caffeine, fried foods, sugar) that makes our body work really hard because it has to draw our own body's precious minerals to balance the pH level. If our body uses its own minerals because we eat too much acidic food, and we don't enough food that supply minerals, which leads to mineral deficiencies - something that we do not want for our body. Take time to watch this video to learn about the harmful effects of imbalance pH level and what can we do to balance it. Try to eat as much food in the alkaline family as you can. Diseases cannot thrive in an alkaline environment. Some foods are acidic in nature but have an alkaline effect on the body, such as lemons and apple cider vinegar. Be thoughtful as we plan our meals. Teach our children what healthy food is and what is not. This is a good resource of food classification that is acidic, alkaline, and acidic food that has alkalizing effects in the body (tomatoes, lemons, limes, grapefruits). Baby Steps: What food or beverage would you like to kick out of your habit as a start? You can balance your body by adding a small amount of apple cider vinegar to your diet each day. It is dirt cheap but highly effective. Braggs is a great brand. 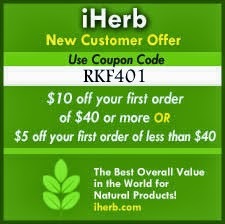 You can find it at Whole Foods or any health store.